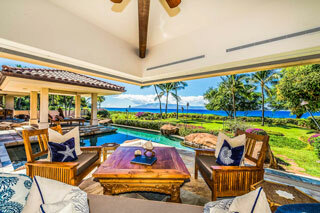 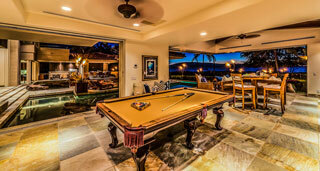 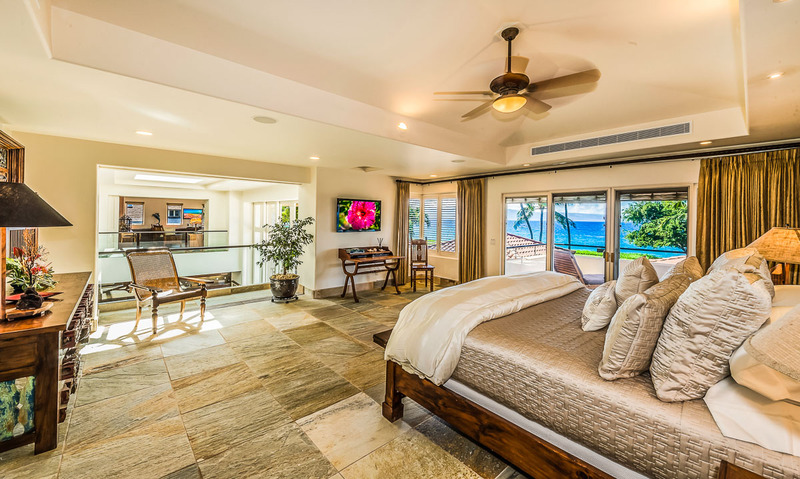 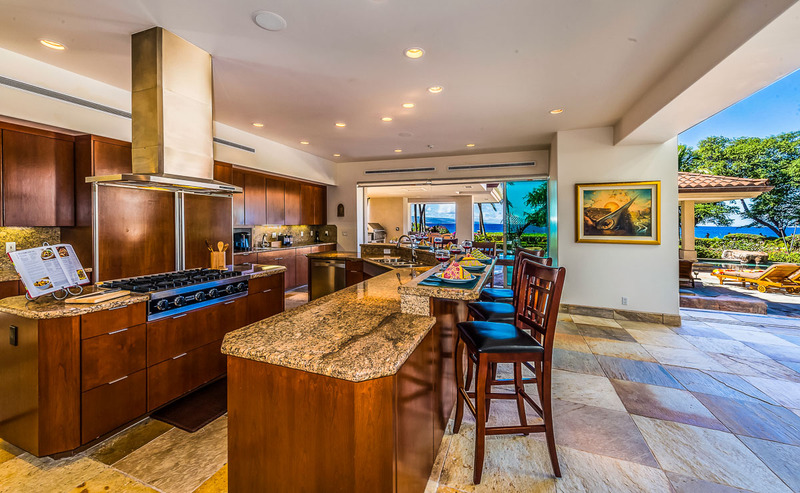 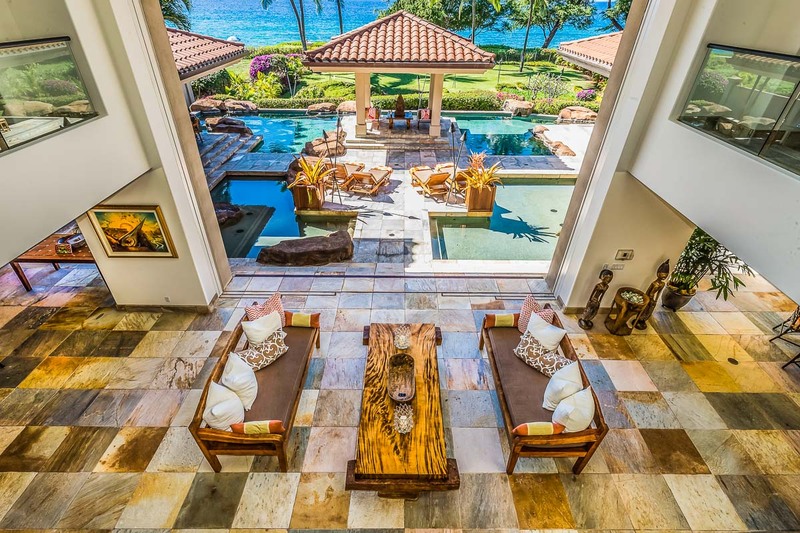 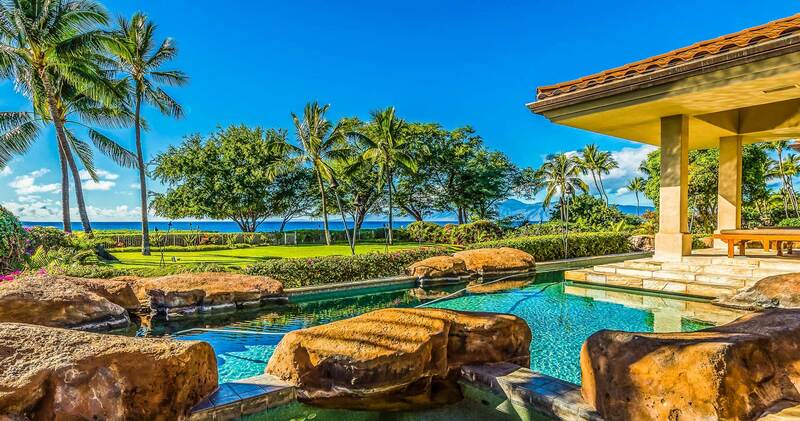 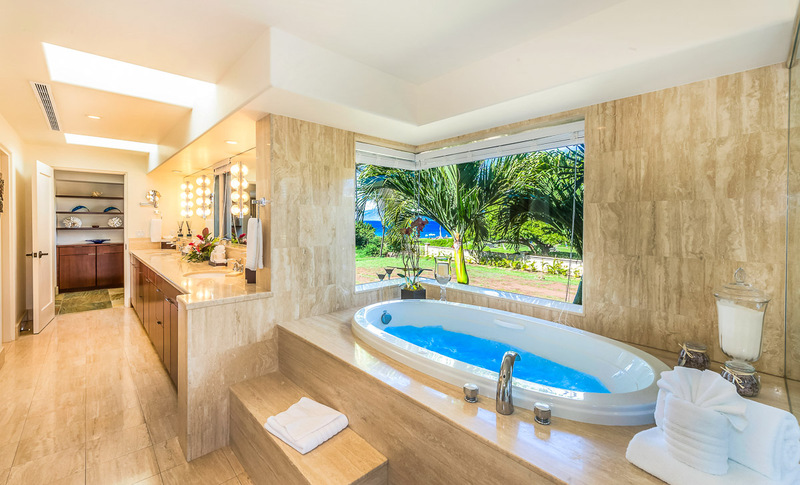 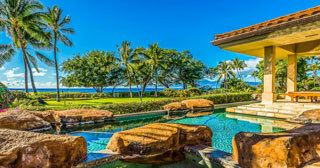 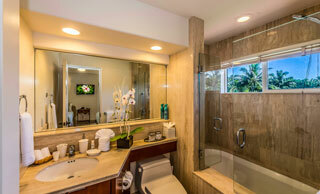 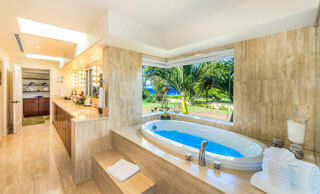 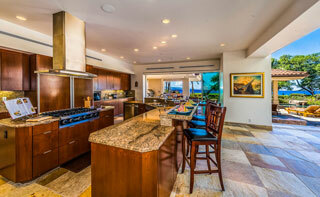 Inspired by the romance of a Mediterranean villa, this 8,000 sf contemporary Maui ocean front home features a series of garden courtyards and water features connecting private and shared zones to the ocean side expanse. 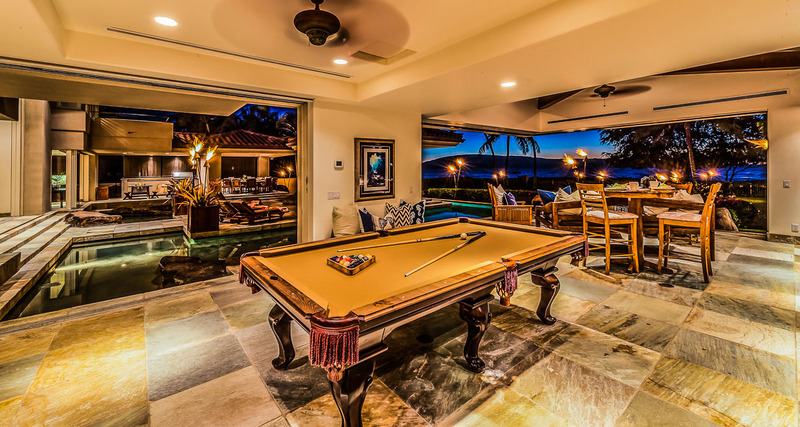 The clean stucco architecture is complimented by large expanses of glass, tall motorized living room doors with exterior accents of Mediterranean clay tile roofs, copper gutters and quartzite flooring both inside and out. 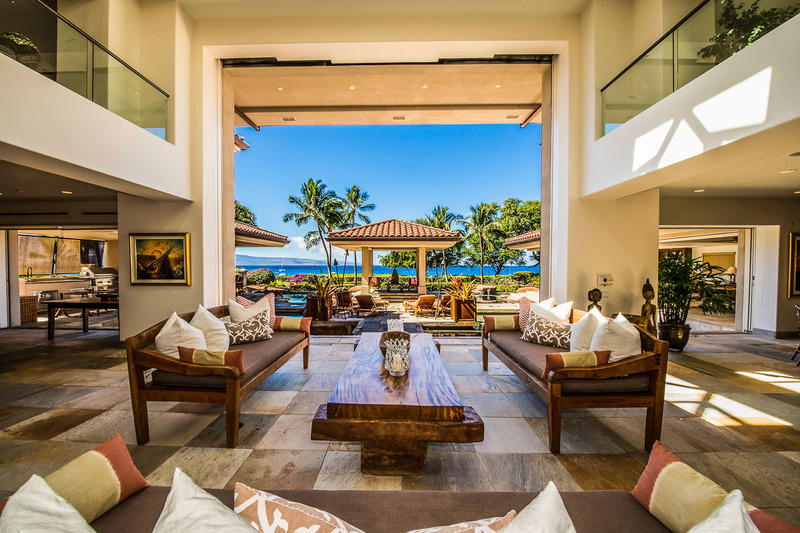 The all metal frame construction and steel cantilevered beams on each living wing allow the corner doors to fully open, further blurring the lines between indoor-outdoor living. The principals of sustainable design were cleverly adapted by the use of natural lighting and ventilation, insulated glazing, and high efficiency fixtures and appliances.